When a verify database schedule is run, connected users will get a message to log out of the server. After the time-out duration has expired, they will be disconnected. 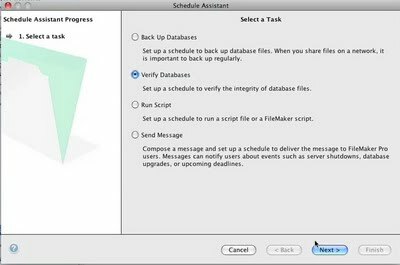 This is because FileMaker 10 Server will stop hosting the files for the duration of the scheduled verification process of hosted files. You can set the time out duration within the verify database schedule and the message that will be given to the users. 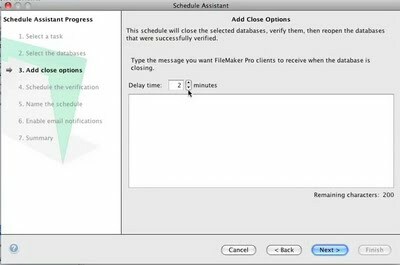 Newer PostDid You Know About FileMaker Server Assisted Install?